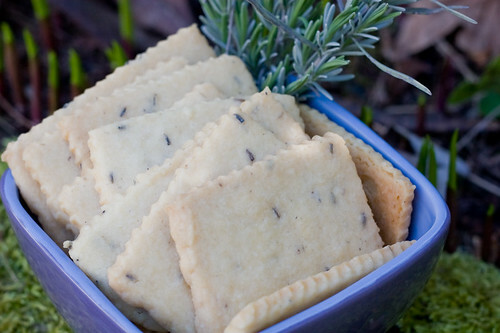 I’ve been craving cookies lately and over the weekend I finally got around to scratching the itch with a batch of Lavender Shortbread. I love the buttery, sugary, crisp-tenderness of these cookies. Adding the fragrance and slightly sweet taste of lavender is just a bonus. There are tons of recipes for these delicious cookies but I use the one in the The Herbfarm Cookbook. It’s really easy and the cookies are perfect every time! the lavender short bread looks really good.